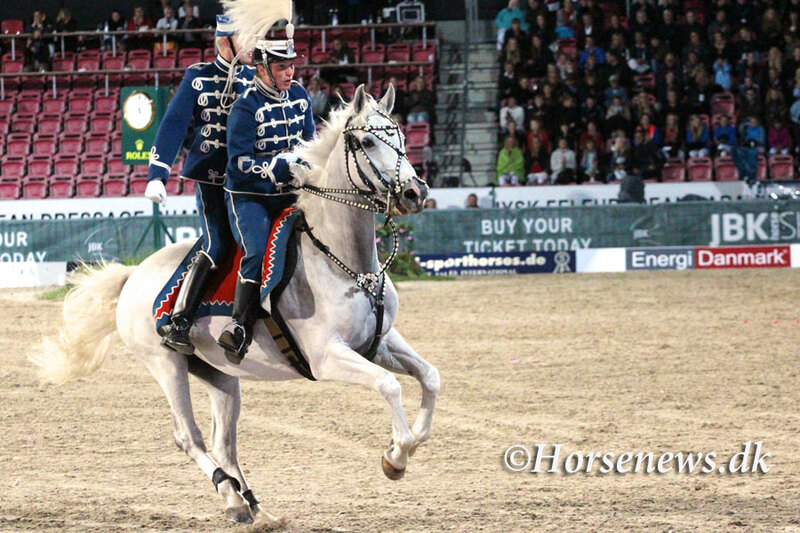 In the autum scandinavian darkness the organizers gave the audience a fantastic show with all kind of horse and rider elements from classical cirkus entertainment from the Benneweis family to baroque horseplays preformed by the Royal Danish Horse Gard. The youngest riders from the riding clubs nearby preformed a huge quadrille. European Horse Societies were reprecented, danish as well as the foreign. New upcomming comets were shown as well as older consolidated stallions f.i. Blue Hors Don Schufro, see the photo undernieth. The different entertainment features were elegantly combinated with humouristic sketches. 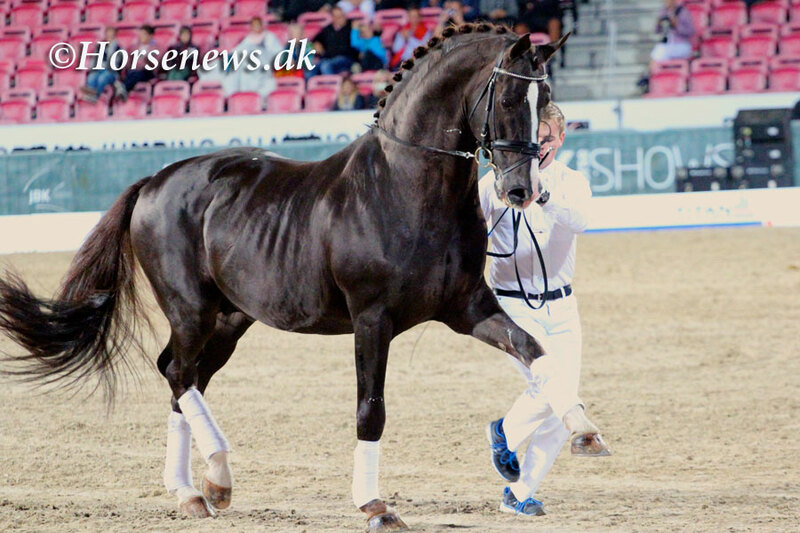 The show night finished with french Clémence Faivre showing her chestnut lucitano stalion in free dressage.